It's been nearly a decade since Geoff Johns took over the reins of Green Lantern--and more than that since he first rescued Hal Jordan from purgatory by installing the disgraced Green Lantern as The Spectre. And while making a "best" list for something like this is an exercise in futility, we wanted to take a look back at the last ten years and remember which moments made us stand up and cheer when we first read them. 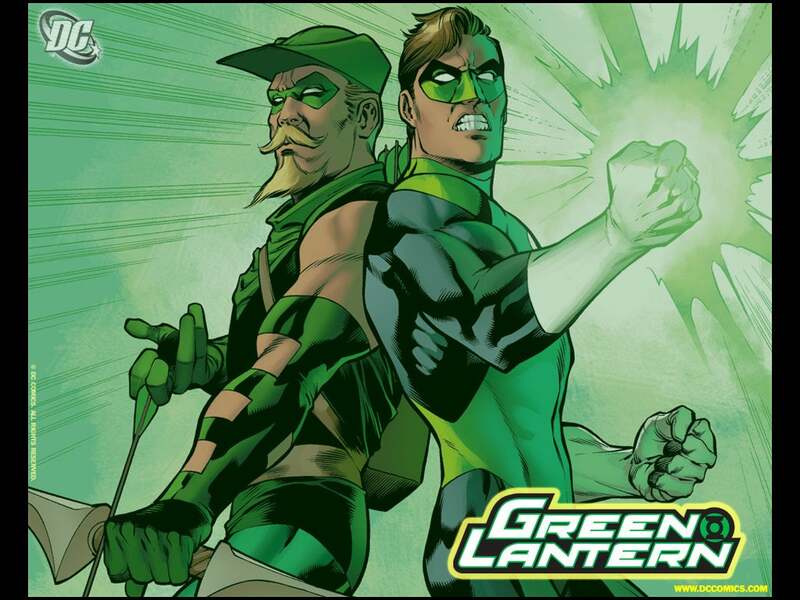 This is where it all began: Geoff Johns accepted his role as the guardian of Hal Jordan's destiny by bringing the character back from the land of the dead and putting him back in a costume, fighting bad guys. Hal had, at that point, been either evil or out of commission for a number of years. After Johns made him the new Spectre, the character was positioned not only for one of the most compelling takes on Hal Jordan in years (The Spectre by J.M. DeMatteis and Ryan Sook) but also to eventually be brought back quickly and easily in Johns's Green Lantern: Rebirth. The move has been widely mocked, but it helped establish the character as a vital part of the DC Universe in spite of not being a Green Lantern anymore--and it probably would have been even more exciting if somebody hadn't blown the story's secret to Wizard magazine ahead of time...! 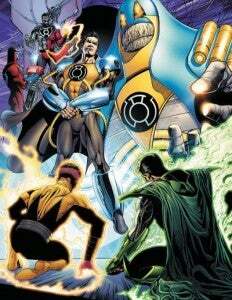 One of the enduring images of Green Lantern: Rebirth was the moment they set up Kyle Rayner as a formidable foe for Sinestro, forcing the longtime Hal Jordan villain to take his successor seriously. One of the things that Johns gave surprisingly little love to during his run was the relationship between Hal Jordan and Oliver Queen. The upside? He handled the one time he did it really well. Frankly, the first year or so of the monthly series that launched after Rebirth was a bit uneven, but starting with tje Green Lantern/Green Arrow chapter, it started to really take shape. ...And here's where it officially became the consistently best book being published by DC. 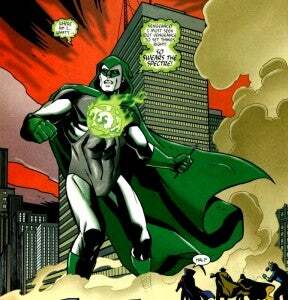 The characterization had been strong and they'd been giving the fans what they wanted all along, but in Revenge of the Green Lanterns, Hal Jordan began to struggle with the consequences of his actions as Parallax. Up until now, Johns had somewhat run away from those consequences, painting the Marz/Winick years as little more than an elaborate mind-control story. The Sinestro Corps War was a great story and arguably one of the high water marks of the Johns run--but you know what was the high point of that story? Arguably the panel at right, which showed just how seriously the whole thing was being taken. The villains behind The Reign of the Supermen, Crisis on Infinite Earths and Infinite Crisis teamed with Green Lantern's three biggest threats--The Manhunters, Parallax and Sinestro--to form what seemed like an unstoppable force for evil and entropy. Turning that page and seeing this reveal was one of those "WTF" moments that DC was chasing with last month's gatefold covers...and reader response signaled to the publisher that they had something more special than they knew. Then, at the end of the war, there was another one. While the "Blackest Night" event had been rumored already at that point, the teaser image that officially announced it was intriguing and exciting, and the wait until the epic event began was almost unbearable as fans had so many theories about what it might entail. What we ultimately got was a deeply emotional zombie story with superhero protagonists. It was a strange cocktail but it worked surprisingly well, and gave us enough memorable moments to fill another one of these lists...if there wasn't a whole nine-year run to keep track of. Johns's run on Green Lantern wasn't about Hal Jordan as much as it was about "Green Lantern"--the corps, the concept, the mythology. 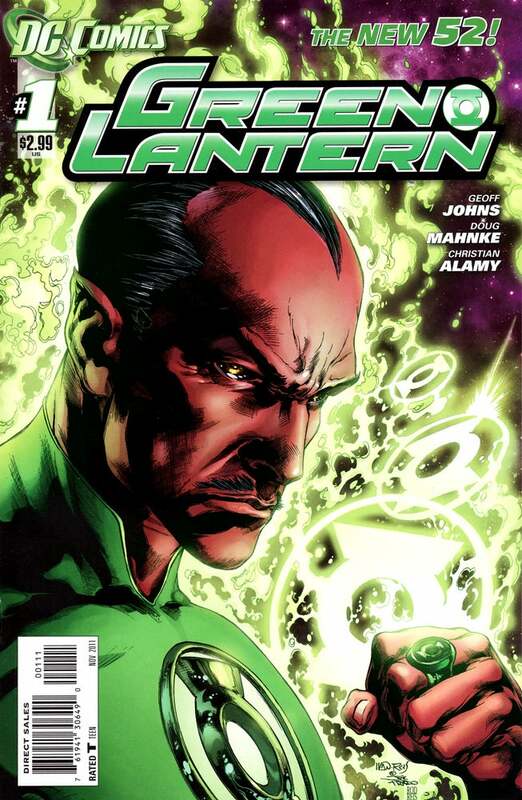 And Sinestro is as big a part of that as that mythology as Hal--as demonstrated in today's issue. 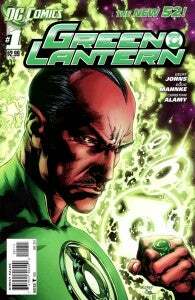 Bringing Sinestro back to the Green Lantern Corps is something that writers have wanted to do from time to time, since so much of his backstory revolves around having once been the best of them. Giving him the ring back not just for a one-off deal but as part of a major storyline and then leading into the New 52 relaunch was a hugely clever move...and one that paid off big time for the long-term themes of the title. The introduction of a new Earth Green Lantern is always a little controversial. After all, there are plenty of them around--and in this case, he's a controversial figure in and of himself, what with the Islam and the gun and everything. But Johns managed to pull it off, making that character a fan-favorite in the short period of time that he was the series' principal protagonist, and then giving a "happy ending" to the character that ensures his enduring importance to the mythology. One of the many jaw-dropping moments in today's Green Lantern #20? Hal Jordan's master plan to bring down Volthoom. 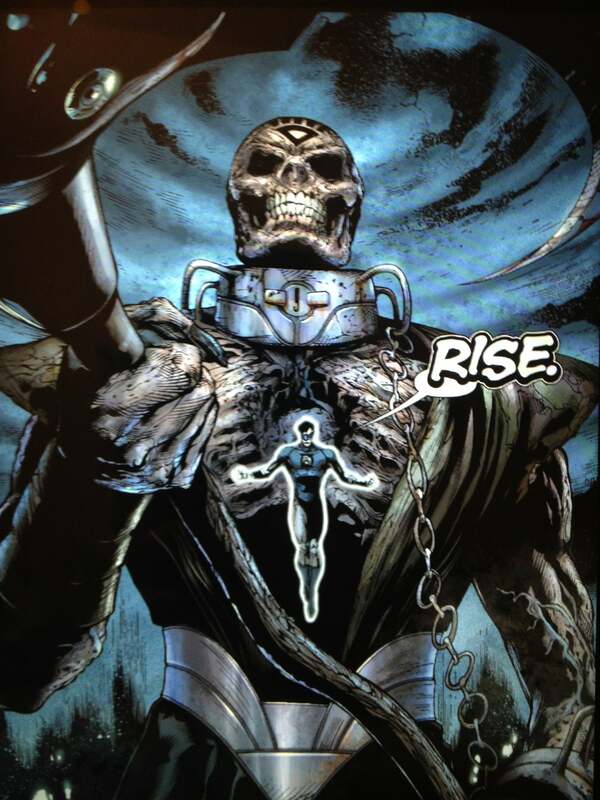 With Nekron and Parallax on board, it meant that arguably the two biggest threats of Johns's run were both brought to heel to face this new, powerful foe. It was epic, and kind of the good guy equivalent of that Sinestro Corps War splash page above. Seeing that image--with its great, Gil Kane-inspired blocking and figurework--you said to yourself, "Holy crap, they're pulling out all the stops here...". When Johns wrapped his run on The Flash, he gave Wally West a happy ending. It was beautiful, and well done--and short-lived, as the character was forced out of retirement when those who followed up after Johns's departure dropped the ball on The Flash. So at the end of the day, the happy ending was emasculated somewhat by circumstance. 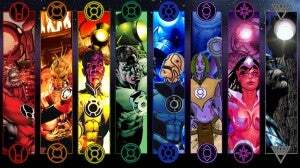 In the Green Lantern finale, not only did everybody get a happy ending (from Hal all the way down the line), but they were positioned far enough in the future that they'll be difficult to mess with.